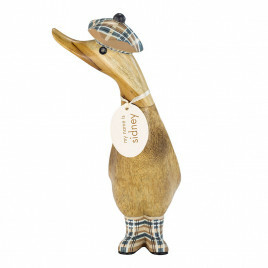 This collection of regal ducklings have a Scottish twist about them, and are kitted out head to toe in brightly coloured tartan. 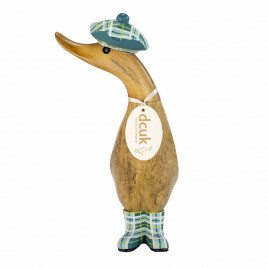 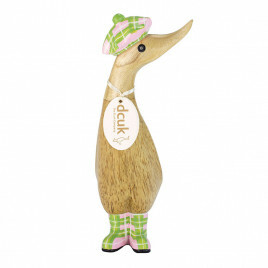 Choose from a range of naturally-finished and hand painted ducks, complete with tartan waistcoats, jaunty hats and traditional welly boots. 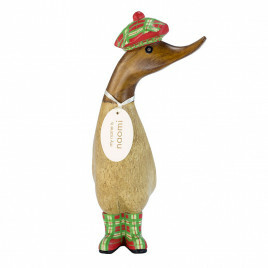 These make the perfect presents for any fans of quirky, unique ornaments, as well as a clever nudge towards a scotsman’s heritage. 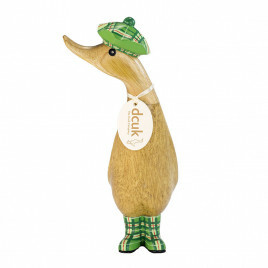 Make yours even more memorable with a personal message, or giving them a truly Scottish name.